On April 9, 2001, Australia defeated Tonga 22-0 in a World Cup qualifier. It was the most lopsided score ever recorded in an international football match ... until two days later, when Australia worked over American Samoa, 31-0, at the International Sports Stadium in Coffs Harbour, Australia. On that fateful day, American Samoa held the Socceroos scoreless for ten minutes—and then the floodgates opened. Australia poured in so many goals that at the end of the match, the scoreboard showed 32-0 (the total subsequently revised downward to 31, upon further review). Perhaps most notably, Australia’s Archie Thompson broke the record for most goals scored by a player in an international match with thirteen. American Samoa did manage one shot on goal—in the 86th minute. What no one remembers is that only one member of American Samoa’s original 20-man team, goalkeeper Nicky Salapu, played that day; the others were ineligible due to passport issues. American Samoa ended up using youth players, and its lineup included three 15-year-olds. Surprisingly, the American Samoan team wasn’t totally deflated by the result. Salapu—who, by all accounts, performed exceptionally well—even claimed that he enjoyed the game. “I wasn’t embarrassed because we all learned something from it. If we had all our players maybe it would have been only five or six goals, because I was without my best defenders and there was nothing I could do. Fast forward thirteen years and American Samoa (an unincorporated territory of the United States in the South Pacific) is still regarded by many as the worst football team in the world, thanks to a decade-long run at the bottom of the FIFA/Coca-Cola World Rankings. But in recent years, American Samoa has moved up a bit in the rankings—currently tied for #196 (among 209 nations). In 2011, the team even won a World Cup qualifier, defeating, Tonga 2-1. But they are still trying to prove they are not the team that lost 31-0. 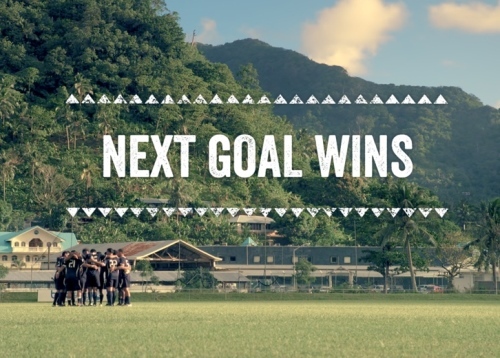 American Samoa’s evolution from 31-0 losers to something more is examined in the forthcoming documentary Next Goal Wins, by directors Mike Brett and Steve Jamison. The film highlights the turnaround engineered by manager Thomas Rongen (a former MLS Coach of the Year), as well as the exploits of the teams transgender center back, Johnny Saelua, who dresses and lives as a woman. Judging from the trailer, Next Goal Wins has the potential to be an inspiring film, along the lines of Quantum Hoops, which chronicled the exploits of Caltech’s mens basketball team, which failed to win a conference game for more than a quarter-century until finally getting a win on February 22, 2011, springboarding the Beavers to their more recent success. SUV nearly backs over ABC reporter Ben Higgins on live TV—San Diego TV station sports director Ben Higgins was filing a live report on the San Diego State Aztecs last night when he was nearly hit by an SUV. 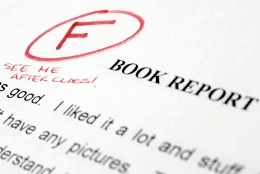 Simon Fraser cheaters are F'd, FD'd—Simon Fraser University introduces a grade worse than F.
South Carolina filmmaker Bud Ferillo to highlight state’s failures—Filmmaker Bud Ferillo aims to raise awareness about living conditions in South Carolina, a state that consistently ranks near the bottom of most national rankings. Man caught stealing H-P ink cartridges from Walmart—A man was caught attempting to steal two Hewlett-Packard ink cartridges from Walmart, arousing sympathy.